No matter what your style, no matter what kind of wedding you envision, AMS is at your service to give you exactly what want. We are almost obsessive about customer service and passionate about pleasing you. "Our DJ was amazing, professional, spectacular and more! He was flexible in accommodating our last minute changes. He kept us on time and on track even when the money dance lasted three songs longer than anticipated!! Thank you a million times over and over!!! 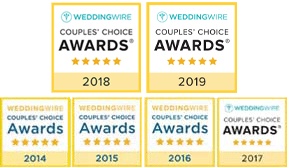 Our wedding was ran seamlessly because of you!!" Weddings, Corporate Events, Private Parties, Casino Parties. Any Event That Needs Fun! "Our DJ was awesome and knew what to play before we could think of it! It was like he was reading our minds! He was fun and energetic! Thank you AMS!" Questions? Fill out our quick contact form below.